Boulder #1 (20), 2008 is an extension of my recent painting and sculptural project. The use of translucent acrylic material allows a view into the work. 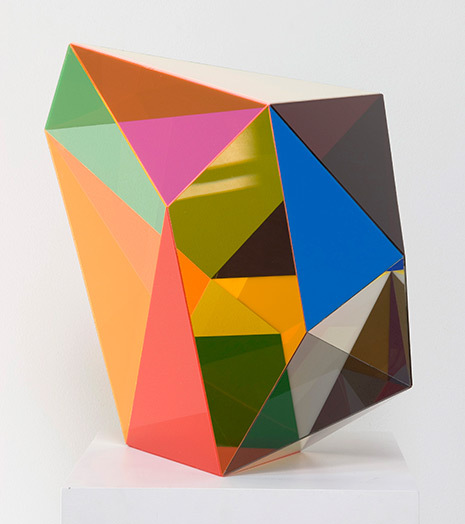 The viewer is drawn to move around the sculpture to make sense of the colour of the individual planes. Looking into the work, the viewer is unable to see one colour uniquely as each plane is overlaid with another from every point of view.